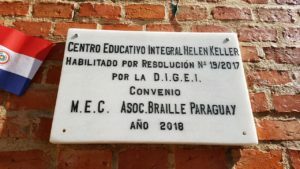 On August 3, 2018 the CENTRO EDUCATIVO INTEGRAL HELEN KELLER – CEIHK for children and young people with visual impairment and multiple disabilities was officially authorized. 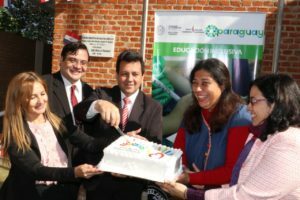 This project has been a reality thanks to the signing of the Cooperation Agreement between the Ministry of Education and Sciences and the Braille Association Paraguay: parent organization pioneer in this area of ​​disability. 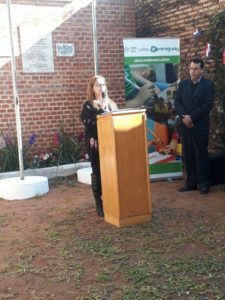 The event was held in the presence of the Minister of Education Dr. Raúl Aguilera and the General Director of Inclusive Education, Magister Cesar Martínez. The Marrakech treaty was also signed and ratified by the Paraguayan Government. 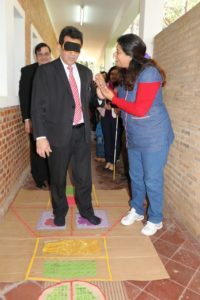 The Minister of Education and Sciences, Raul Aguilera, during a ceremony at the headquarters of the Helen Keller Comprehensive Educational Center, for children and young people with visual impairment and multiple disabilities, presented Resolution No. 31561, which provides that the books of texts tendered by this Secretary of State, for all levels and modalities have editable digital support in accessible formats, for people with visual disabilities and other users who have difficulty accessing printed texts. Posted by Daisy Sanabria – August 3, 2018. 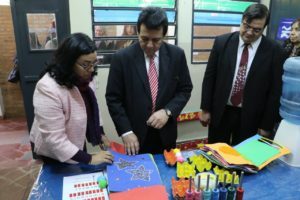 “It is a memorable day for Paraguayan education, after a few years of management we can specify this sign that will force the next administrators to radically change their terms of reference, the characteristics for the purchase of materials, meeting the guidelines for Paraguayan inclusive education, “said the Minister of Education. 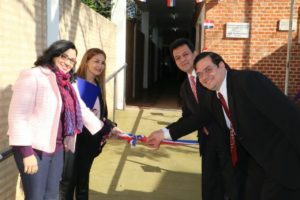 Aguilera mentioned that one of the points of his agenda was to give more impetus to all the actions that have to do with the inclusive approach within the education system, “we are on a good path, opening the first doors and growing for the integral attention of children and young people who are with this disability; and congratulate ourselves with this great achievement for Paraguayan education, “he said. For his part, César Martínez, general director of Inclusive Education said that “the accessibility of bibliographic materials is key from the beginning of equity and diversity contemplated in the International Convention for the Rights of Persons with Disabilities and in the Marrakesh Treaty ratified by the Paraguayan Government. The Resolution also highlights the relevance of a quality education that provides the opportunity to develop and strengthen training within the schooling period throughout its existence in order to favor social and professional inclusion.